Today sees the launch of the 2017 People Survey. This is your annual opportunity to give us, in complete confidence, your honest opinions about working in the Civil Service. That honesty is essential because the survey is perhaps the most important tool we have for making change happen in the Civil Service – change that improves your experience and helps us become an organisation we can say is truly a great place to work. The more of us who respond, the more reliable the evidence we will have to judge how well we are doing in vital areas such as leadership, inclusion and managing change. And it will also help us establish how we can do better in all the areas that will make us the Brilliant Civil Service we aspire to be, and deliver better outcomes for the people we serve. The overall engagement score for the Civil Service returned to its highest ever level (59%) (this measures the extent to which staff feel attached to their organisation, committed to its goals and values, and motivated to contribute to its success). Scores for questions on whether people are interested in their work (90%), have the skills they need to do their job (89%), and are trusted to do their job effectively (88%), remained the highest in the survey and give me confidence that we are up to the challenges ahead. I doubt any other organisations in Britain could match these sorts of numbers. The benchmark score for the question ‘I believe I would be supported if I try a new idea, even if it may not work’ was at its highest level yet (69%). This is so important as we try to encourage a culture of innovation and creative challenge. And the ‘Inclusion and fair treatment’ theme score increased by two percentage points to 76%, the biggest increase in any single theme between 2015 and 2016. These results bear witness to civil servants’ commitment to public service and their resilience in the face of change. The last 12 months have seen no let-up in the challenges we face as we support the Government in preparing for our exit from the European Union and building a new global role for the country. This means there’s absolutely no room for complacency, and other survey results show how much more we can - and must - improve. The inclusion score, for example, has to be considered alongside the fact that the average percentage of staff who said they had experienced discrimination (12%) or bullying/harassment (11%) at work also increased slightly last year. And the score for ‘Leadership and Managing Change’ remained too low. We have a range of initiatives in place to address these issues – for example the new Civil Service Leadership Academy, which will adopt an innovative approach to supporting leaders at all levels in handling the unique demands of working in government; and the forthcoming Diversity & Inclusion Strategy, which will enshrine our ambition to become the most inclusive employer in the UK by 2020. Achieving genuine inclusion is central to our vision of A Brilliant Civil Service. This means everyone, regardless of gender, ethnicity, disability, sexuality or other characteristic, feeling supported, valued and respected, and able to be themselves and fulfil their potential. The 2017 People Survey includes new questions to support our work on combating discriminatory or bullying behaviours and encouraging inclusion. It also features new questions on awareness and understanding of the Civil Service Vision: we can’t progress towards being A Brilliant Civil Service if we’re not effectively communicating to our people what the destination looks like or how we are going to get there. But, as always, we need your honest, private feedback. Last year, the overall response rate to the People Survey across the Civil Service was steady at 65%, with 280,000 of you taking part. It would be great if we could exceed that figure this year. The People Survey is run across nearly 100 organisations, on a department-by-department basis, and the results then aggregated for a CS-wide result. This explains why there is no central link to access the survey. You will find details on how to take part on your local intranet, or you can ask your manager. That's all very well but where is it? How do I respond? As indicated at the foot of this blog post, you should find details of how to complete the survey on your local intranet (or that of your parent department). Failing that, please ask your line manager or team leader. I've completed your survey. I am very concerned at the lack of confidentiality, I work in a small team and its pretty easy to work out who I am by the grade/age/colour profile you request. In previous years people where being identified by managers for whinging, can you assure us this will not happen again? Hi 'Orange peel'. Thanks for your comment. The People Survey Team tell us: "The survey includes a number of demographic questions that allow us to analyse the survey and understand how different groups of employees feel about working for their organisation. Managers will not be able to identify an individual's responses, as survey results will only be presented to managers for groups of 10 or more respondents." No I can be identified so I have withdrawn completing the HYS survey, Location, age, gender, how long have you been in your role, how long have you been in the MOD, how long have you been in the Civil Service and grade!! You dont have to be too clever to work out who has said what to the questions. This is not anomous. Thanks for your comment Matt. Others may also welcome additional clarity on the issue of the confidentiality of the survey and whether individuals can be identified from their responses. To confirm, managers do not have access to individual survey responses. They only see aggregated results for groups of 10 or more. For example, they would be able to see that for a group of 10, 100, or whatever size, the engagement index for that group was 60%, but not the individual responses from which that result is derived. I manage the survey in my Department and can assure you that indivduals cannot be identified, and that has always been the case. You need over 10 responses from any particular group (or combination of groups) in order to get a result breakdown. For example if you had a team with 25 men and 9 women and someone looked to do a gender breakdown, they would only see the scores overall for the 25 men combined, but not the 9 women combined as their reponse are less than 10 and you risk identifying people. It doesn't even mention protected characteristics (gender, age, disability, gender reassignement, marriage/civil partnership, race, religion or sexual orientation) , the question is far too simple and hence the data gathered is valid. It also doesn't mention that discrimination can be unlawful or lawful depending on the circumstances. Under the definition provided by the Civil Service someone could say they are discriminated against because the Crown (the employer) allow departments to set different salary ranges for work of equal value, is this discrimination or a very poor definition of discrimination? It reminds me of the IT adage garbage in garbage out. If I treat people less favourably because, say, they have brown eyes I am -- self-evidently -- behaving in a discriminatory fashion. It's not a legally protected characteristic, so it's not discrimination for the purposes of the Equality Act. It would, however, clearly be a breach of the Civil Service Code. This sort of thing should not be disregarded simply because it falls doesn't attach itself to a protected characteristic. Absolutely. This is why we talk about diversity and inclusion, not just "Equality". Someone might discriminate against me because I look like a bit of a hippy, or because I'm short, or because I don't have a local accent. Hi Dan, You may want to read the Public Sector Equality Duty which covers in detail what the public sector needs to do in regards to equality, it very much revolves around protected characteristics. The Staff survey definition is very much out of sync with it, hence why the data the survey it produces is invalid and unactionable. e.g. I could promote person A and decline to promote person B, is that discrimination? Or is it recognition that person A on merit deserves to be promoted and there is only one post availble to promote Person A or B into? If however I promoted person A because she was female and I didn't promote person B because he was male that would be discrimination. Correction the data is invalid. The blog doesnt seem to confirm that this a voluntary completition survey and not mandatory. Neither does it say it's mandatory. The percentage responses shown for previous years should make clear that not everyone responds. In respect of the question asking to disclose our sexuality, can we lose the word “straight” from the response heterosexual / straight? Seems out of date and inappropriate in my opinion. We don’t use, and nor should we, the word “bent” next to homosexuality. Surely everyone knows what heterosexual means or can find out what it means! I completely agree with HR in regards to the validity of some data due to the inadequate questions. There needs to be greater flexibility when answering to capture the data in its true light. I also wonder, what really happens with this data? Does it, or can it really change the SYSTEM. There are so many civil service depts and organisations each running their own methods of policy regardless of any Global Civil Service regulation. I joined the CS (MOD) in 93' and if I told you how I had been treated throughout that time (bullying/harassment), you probably wouldn't believe me! Funding for training? We have no opportunity in my organisation, personal development, what a joke. Unless it benefits your current role and the org' then forget it, that's if you can secure funding anyway. So, when I have a chance to actually voice that in my survey (survey permitting), nothing has changed here in 20+ years! I don't wish to be pessimistic but the CS (MOD) is hideous in many aspects.....can't speak for everywhere else. I understand the survey isn't a complaints process but why capture the data if it changes very little locally for many? Are you able to tell me if the comments that people write in the white space are taken into consideration and if so by who? I have heard a rumour that nobody reads them. Nice to know some parts of the civil service is having such a spiffing time of it. Good that they're pushing up the average scores so the woefully low ones of departments such as mine can be buried and ignored. The ones where morale is so far down the toilet, we don't see daylight anymore. And another 30% more cuts and accompanying morale sapping change for change's sake to look forward to. But that's okay, just so long as Sir Jeremy has some good selective stats to spin as a positive. Just keep ignoring the stats that show what a slow-motion car crash the civil service is undergoing right now. Nobody wants to hear about that. I have always been a reluctant participant in the survey historically mainly for some of the reasons mentioned above many of which are/have never even been on the table for discussion - pay and pay progression are a case in point. Secondly the way in which the data collected is used as an excuse for the introduction of some of the most derided systems ever introduced into the CS - PMR. "You expressed concern at how we manage under-performing staff". "This is our solution a much criticized appraisal system that has been dropped by almost every private sector organisation". And finally because of the song and dance made every year by management about filling the damn thing in when it is not supposed to be compulsory. And the subsequent seizing upon of even the most minor improvement in a work area as a 'we are making progress'. I have to say that I am always amazed at the level of negativety given to the annual staff survey and yet those who fail to participate and set out their issues in this way, then complain when they feel that no action is taken. How are Senior Management suppose to know what the real concerns are if colleagues decide not to complete the survey? I complete the survey year after year Gavin, and as other posters have underlined, see no improvement. Our illustrious leaders seize upon minute changes as "a step in the right direction", while ignoring the real issues, including pay and the devisive PMR system. I look forward to Sir Jeremy's annual triumphant post survey blog, to state that engagement has improved by 0.0035%. Yes, and in the background to all this talk of inclusion there's the Cabinet Office opening a consultation on the CSCS, again. Which is hell bent on undermining our terms and conditions, again. Divisive is the word I'd use. One of the biggest issues is pay and we all know it wont change anytime soon so as far as i am concerned it is pointless filling in this paper excercise. Question H8B asks: "Does the team you work for deliver one of the following functions?" and follows that with a list of possibilities with circles to tick, or a circle for "none of these". The answer to the question stated should be yes/no. The intended question was obviously: "Which of the following functions does your team deliver for?" Does anyone actually proof-read the survey before it is issued? Hi Nigel, thanks for your comment. We have consulted the People Survey Team on your behalf, who reply: "This question wording is correct. Not everyone nor every team in the Civil Service works to deliver one of the 11 cross-Civil Service Functions listed, so the suggested wording and Yes/No answer scale wouldn't be appropriate. For example, a team delivering policy, analysis or operational activities may not deliver one of these Functions." I lost faith in the survey the year our managers concluded that the reason we gave negative responses about them was because we'd all misunderstood the questions. It also feels that senior management simply use the results to try and justify whatever it was that they wanted to do anyway. Also only the willfully blind could fail to see the size of issue that our pay has become. Although it's more likely that a ufo land in the carpark and martians get out and start tapdancing then anything be done about it. I find that quite offensive that they have said we misunderstood the questions. Do they think that anyone who doesn't give the answers they want are stupid ?. I see a clear case of the truth hurst and we all know no matter how they spin it, they don't like the truth. Sir Jeremy, where is an update on actual action that the Civil Service has taken over the last year to improve these scores or engage with civil servants? With the continued failure of the PMR system to demonstrate it is operated fairly and consistently let alone recognise diversity and the Civil Service Compensation Scheme, the Civil Service needs to substantially improve it's engagement. I do agree that pay is an issue that DOES need to be addressed. I am sick and tired of increasing mountain of debt and coming home to an empty fridge at the end of the month as i simply do NOT get paid enough. However that being said i would like to ask if the Heads of the Civil Service, Goverment also complete the survey, and do we get to see those results? And i have a suggestion to the powers that be regarding pay. Hold money surgeries in your departments to help employees cope with the increasded cost of living by providing a private and confidential consultation with advisors. They could be held during the lunch hour for example. There seems to be limited civil service employee engagement from MoD Schools DCYP with the cohort of staff UK BC specially recruited Teacher grade in Cyprus, Germany and world wide. How can this be resolved in representation. John Turner Secretary National Education Union NUT section Germany and ISODETS Worldwide. Another HYSS, and I hope you won't mind when I predict that the lowest score will be pay. As it has been for several years now. Q1. Why haven't you mentioned pay in your blog? It has been stated by the Institute For Fiscal Studies that the pay is major contributing factor in skilled staff recruitment and retention issues and this will lead to an inability of the Civil Service to carry out its tasks. Q2. Why do the SCS not mention it in the blogs? the last blog which mentions pay was in December 2015. Q3. What part of a pay rise of less than a 1/3 the rate of inflation make it a "Brilliant Civil Service"? Q4. How do you expect to solve the recruitment and retention problems when poor pay is causing skilled people to leave? To give a similar comment to one already given, but with a slightly different emphasis. I am extremely busy and stressed, as our many in the civil service. I can just about find the time to do the survey as I think it is important. 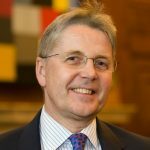 I do not have the time to read about Sir Jeremy Heywood and I don't want to have to dig around and article to find where/how to do the survey. An option at the top linking to the survey would help or the instructions of how to find it. Thanks for your comment. Please see our reply to Jim, above, and the note in the box at the end of the blog post, which explain how to access the survey in your area. I have worked as a civil servant for a long time, I would like to ask how we can have faith in management that have in our area recruited 40+ Band C decision makers in the past 18 months when the majority have not touched any Band C work and only done Band B work but paid more for the privalage. They have also been allowed to have overtime when Band B's have been limited until the overtime budget has been spent. As a Band B I am getting very tired of correcting mistakes made by higher grades who have no idea what their actions cause. As an organisation why do we not promote from the lower grades to ensure that experience moves up the ladder instead of taking Joe Bloggs who has no experience or knowledge of our business and put them in charge of teams who then have to organise themselves and help train new management. I'm think the recent survey appeared really good. Unless I am mistaken however, this did little to focus on facilities. For me 'inclusion' has also to be about attending employer's premises with minimum anxieties occurring, including being confident that others (staff and visitors) will experience minimum anxieties. (I accept that anxieties arising when visiting non-employer's facilities are all my problem). In recent decades, with more outsourcing of FM, the role of making inclusive working environments appears to have fallen in a gap between the employer and FM operator or landlord. The FM provider offers good services but in working to a budget and contract is not led or motivated to develop FM to cover short-falls in 'suitability'. The employer, although conscientious, may no longer have the FM skills to identify where facilities are less than 'inclusive', almost led to presume all responsibility for inclusion is with the FM provider. Sadly, some things I've seen (not necessarily common-place at civil service sites) suggests 'inclusive facilities' can be a subject no one wants to deal with. I'd be grateful if any new survey could include a wider range of questions on the 'suitability of facilities at the main work-place'. I feel confident any analyst would support the view that in the long term, work on this could also give rise to new costs savings/added value. The themes derived from the verbatim comments should provide some of the best insight/ clues into why people have responded to the questions in a particular way. We get to see the quantitative results but I wonder where these other important summaries are published/ shared? Without these we only have part of the picture so can't really know how to follow up the findings appropriately.